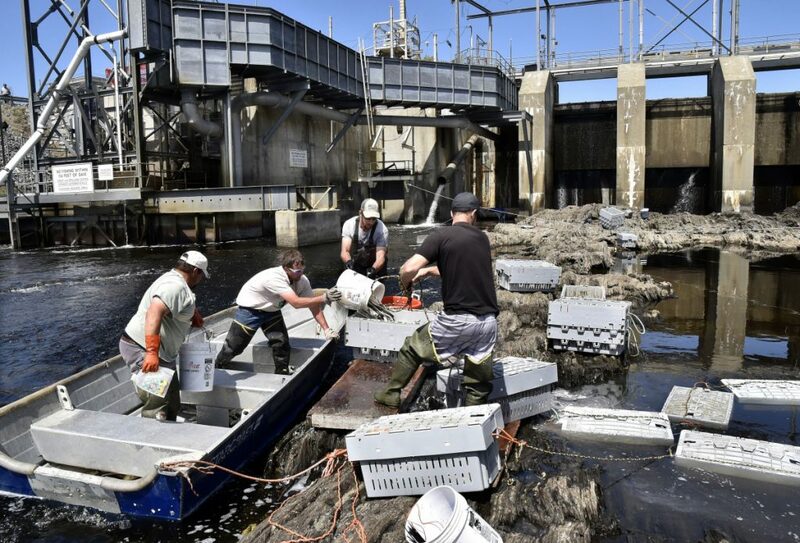 The annual alewife run in Benton, the largest in the state and one of the largest on the East Coast, is credited with reinvigorating the environment and the fishing industry. 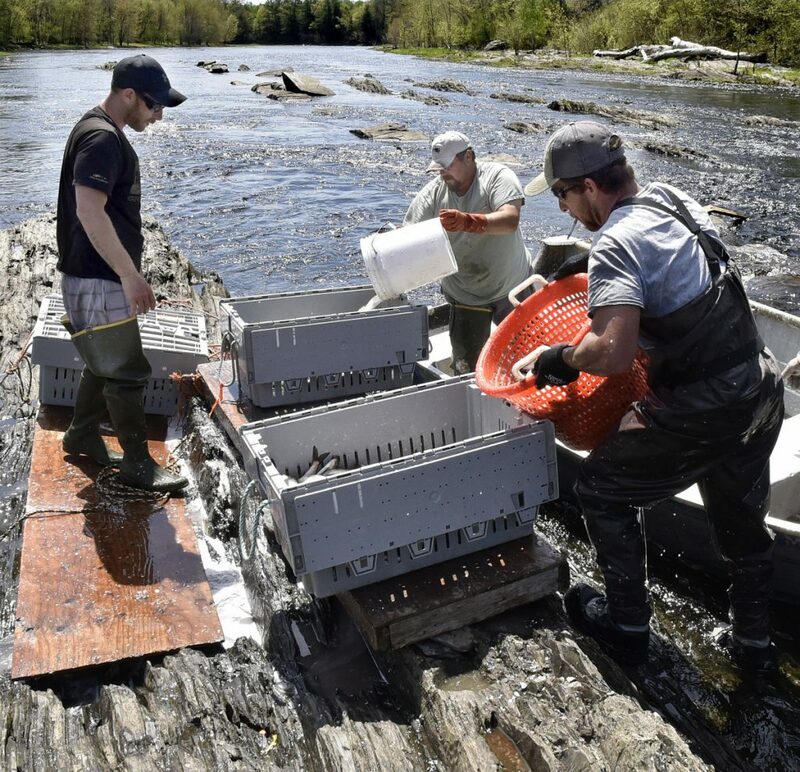 BENTON — Some 3 million alewives are rushing up the Sebasticook River, heading for the Benton Falls dam, where at least a quarter-million will be allowed to complete their run upriver to spawn. 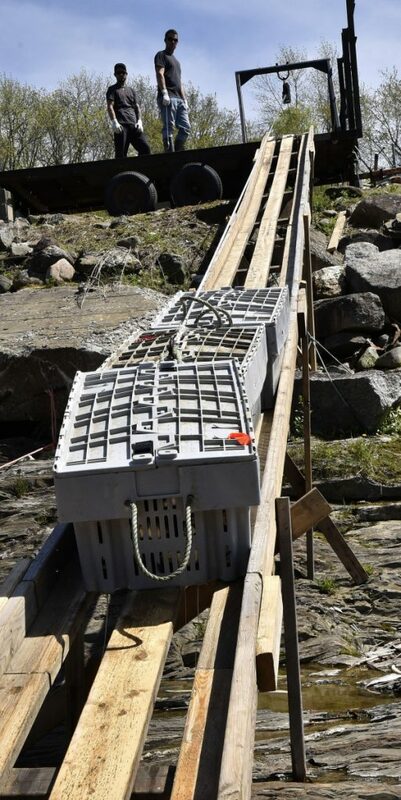 The rest will become fair game for food and bait for Maine’s multimillion-dollar lobster fishery. 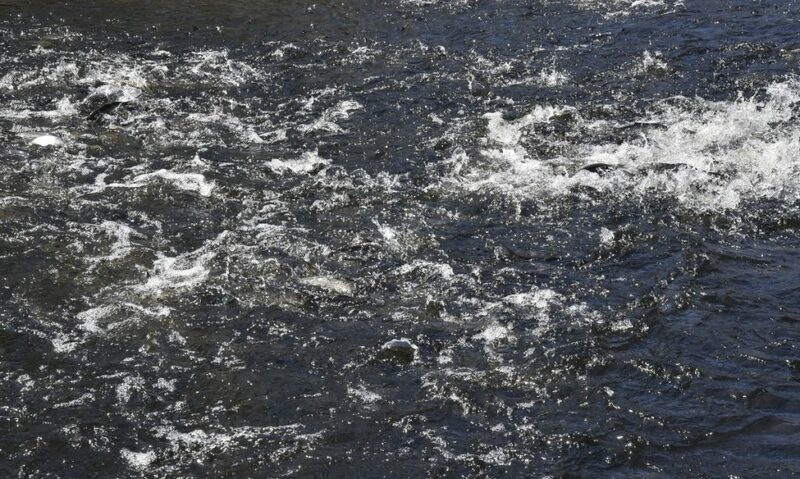 While the fishery is going great guns, however, the town of Benton has canceled its alewife festival originally scheduled for this Saturday, with a person at the Town Office citing rain as the reason. The festival’s dinner also was canceled. 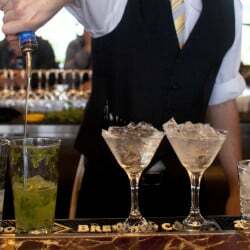 In past years the event always has sold out, but only seven tickets had been sold as of Thursday. Because of that, the town called off what would have been its seventh annual celebration. 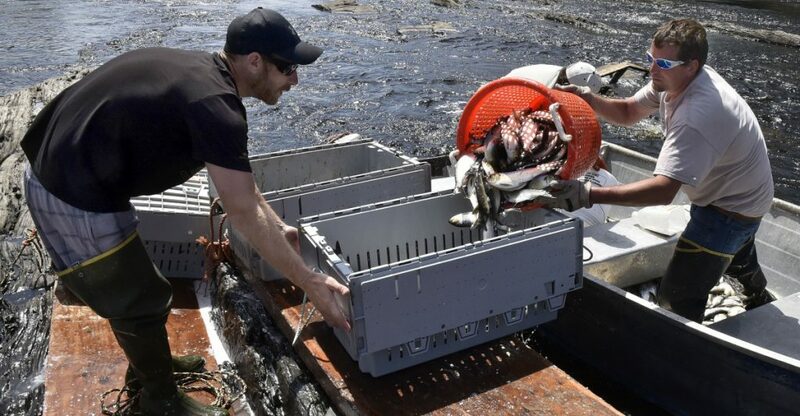 Nevertheless, Jeffrey Pierce, the president of Alewife Harvesters of Maine, said it’s been a really good year for the alewife run, as the once-depleted fish continue to swarm back into the area each spring. 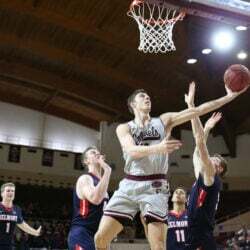 He hasn’t heard any negative reports, and places all around the state — from Bath to Benton — are doing well. Alewives are small herring that annually make their way up the Sebasticook River from the Gulf of Maine to spawn in inland lakes. Benton has the largest run in the state and one of the largest on the East Coast. Typically used as bait in lobster traps, the foot-long silver fish also can be eaten. Alewives had long been a staple of the area, but dams on rivers and pollution of the waterways diminished the fish’s population over the decades. When dams in Augusta and Winslow were removed a few years ago, alewives returned to the region. While spending the majority of their lives in oceans, alewives return to fresh water annually in May and June to spawn. Traveling up the river in huge numbers to maximize their chance of survival, the fish have been credited for a resurgence of wildlife in the area, including kingfishers, eagles, ospreys, herons, minks, snapping turtles and otters. Years ago, a pair of seals even made their way up the river to feed on the alewives, which is an extraordinarily rare occurrence. 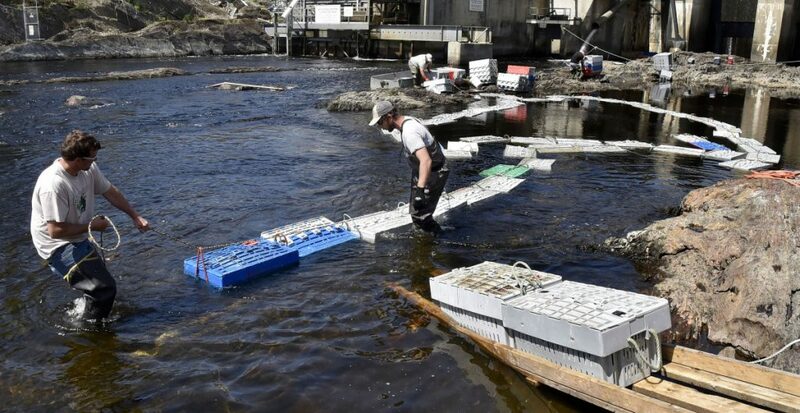 While nowhere near their historically huge numbers from centuries ago, alewives have been making a steady comeback in Maine’s waterways. A female alewife can produce up to 100,000 eggs, but very few of those ever make it to adulthood. Swaths of the fish are picked off by predators long before they make it to the spawning destination. However, while some adults do die after spawning, those that survive make their way back to salt water, only to go through the whole process again the next spring. Noah Mark, left, watches as John Tripp shovels ice onto alewives Wednesday during the annual harvest below the Benton Falls dam. The fish will be sold as lobster bait. 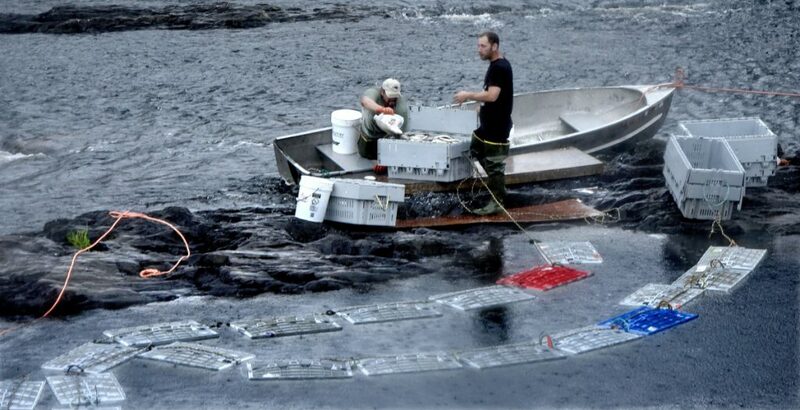 Pierce said alewives have helped restore waterways throughout the state, including China Lake and Webber Pond in Vassalboro, after being reintroduced. The quality of drinking water from China Lake has vastly improved, he said, and the alewives also have helped the sport fishing industry. “Have you noticed all the eagles?” he said, adding that the eagle population has grown in the region because of all the food now available in the rivers. 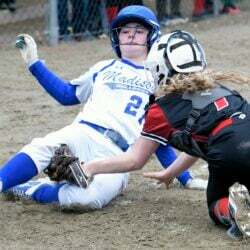 “Maine now has the largest eagle population east of the Mississippi. According to the Department of Marine Resources, alewives are an important contributer to the ecology of Maine because they are an alternative prey for fish-eating birds during a time when juvenile Atlantic salmon are migrating downriver, providing cover for the salmon from birds of prey as well as seals once the salmon hit the open ocean. Additionally, alewives provide nutrients and forage for watersheds. “Between and within those various habitats, everything eats alewives: striped bass, bluefish, tuna, cod, haddock, halibut, American eel, brook trout, rainbow trout, brown trout, lake trout, landlocked salmon, smallmouth bass, largemouth bass, pickerel, pike, white and yellow perch, seabirds, bald eagle, osprey, great blue heron, gulls, terns, cormorants, seals, whales, otter, mink, fox, raccoon, skunk, weasel, fisher, and turtles,” an informational page on the department’s website reads. 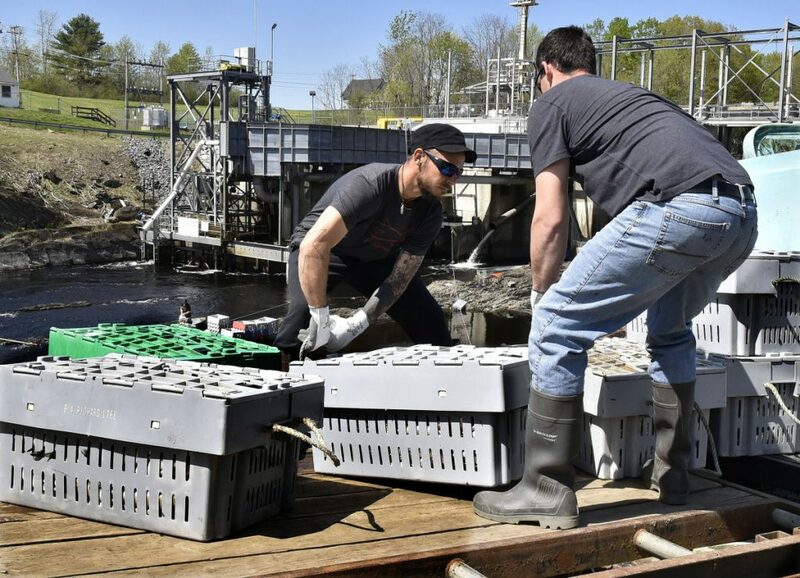 Pierce said the resurgence of alewives also has benefited the rest of the state’s fish population, especially cod and haddock. He said fishermen are lining the banks to catch these fish, which now can be found bountifully in grocery stores and fish markets around the state. 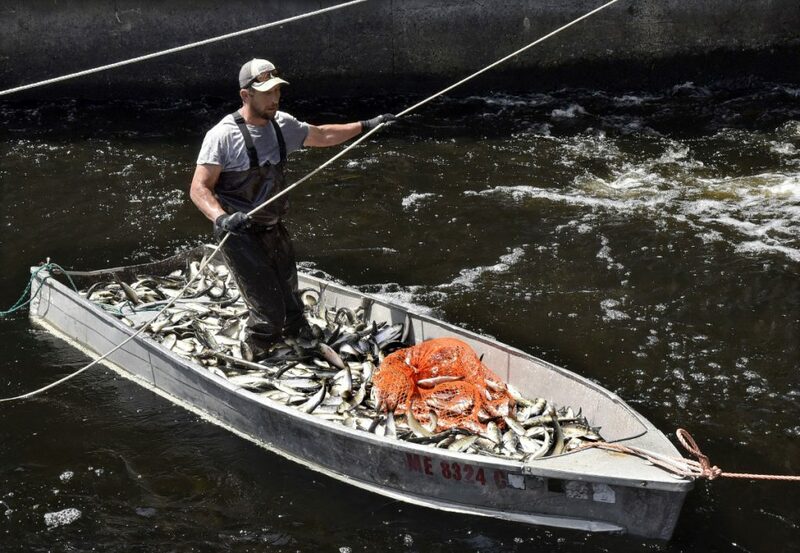 Thomas Keister maintains his balance Wednesday in a boat laden with thousands of pounds of alewives he netted from the fast-moving Sebasticook River below the Benton Falls dam during the annual harvest of the spawning fish. 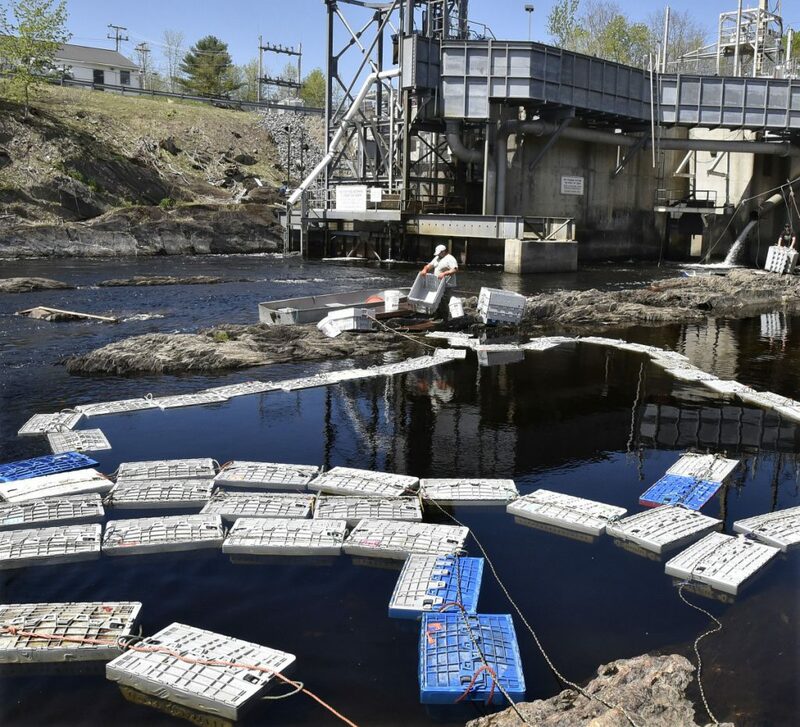 Rick Lawrence, Benton’s alewife warden, said that on Monday, over a million fish had been lifted over the dam and that this run appears to be on course to break records. The run generally lasts three to four weeks and eventually coincides with the running of another fish, the blueback herring, he said. 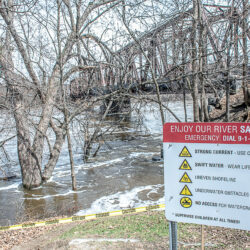 Alewives can’t be harvested until over 200,000 have crossed the dam, he said, but that happened within three days. 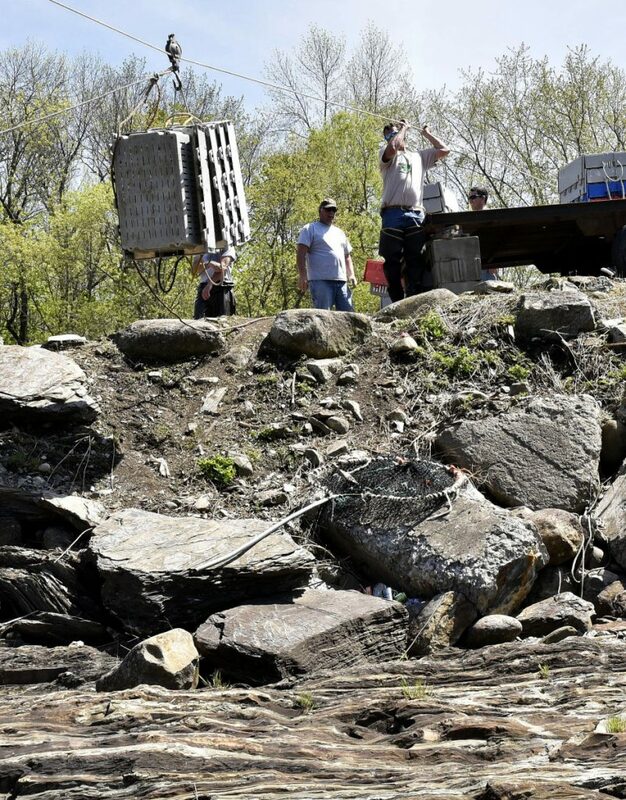 A state-approved town ordinance makes it legal for Benton to harvest the fish once 225,000 have made it over the Benton Falls dam, which is equipped with a $1 million fish elevator that passes the fish upstream to their native spawning grounds. The town typically harvests anywhere from 350,000 to 500,000 fish per year. Harvesting alewives is regulated by the state for both mass scale harvesting and individual fishermen, who have a cap of 25 per day. 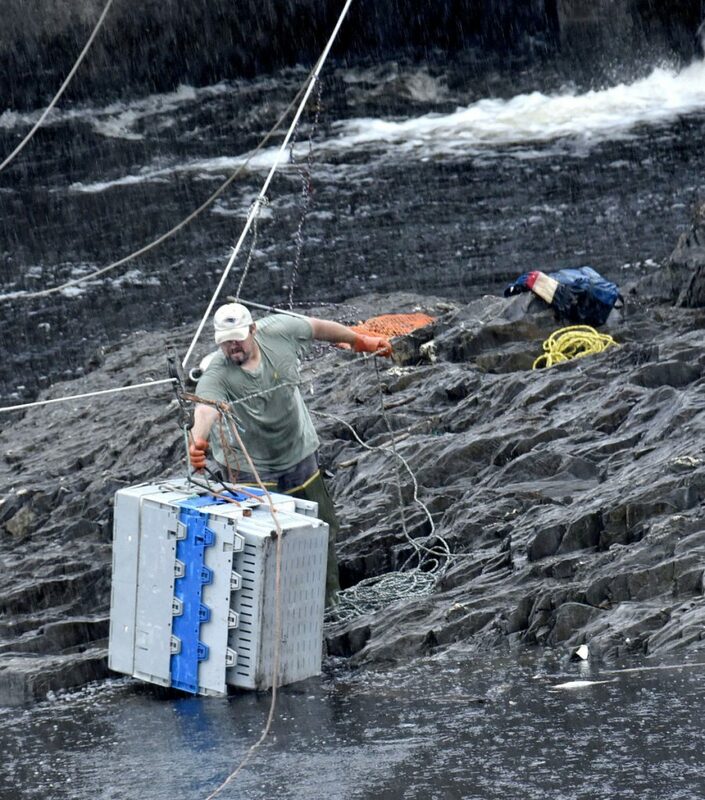 “There doesn’t seem to be much doubt, the Sebasticook still has the largest river herring run on the East Coast,” Lawrence said. A 72-hour closure on harvesting is mandated by the state, which lasts from Thursday to Sunday, Lawrence said, but Benton gets an exemption because of the size of the run. Pierce said people tend to overreact if a run starts later than anticipated. This year’s run started a bit late because of the long winter and deep ice in the waterways, but the run is as strong as in recent years. 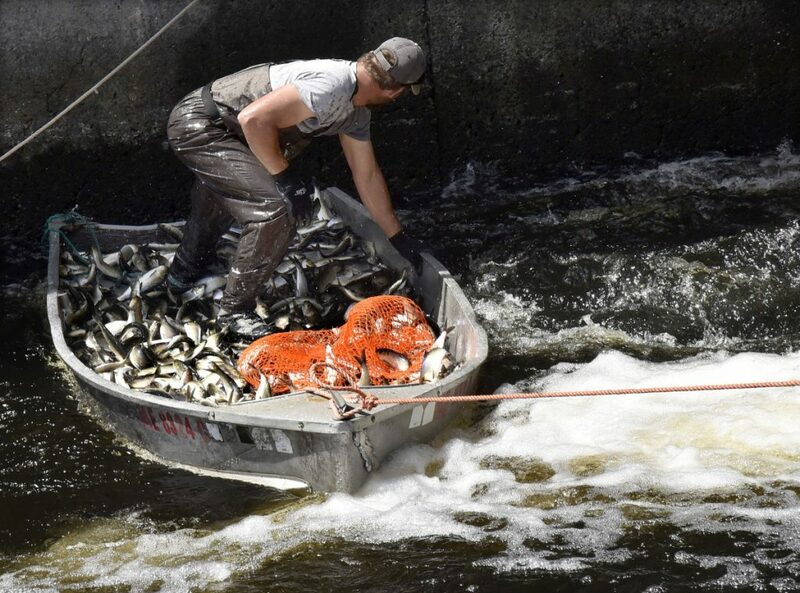 A boatload of spawning alewives in the Sebasticook River in Benton awaits workers with Springtime Bait company Wednesday, who will unload fish into crates that will be trucked away. Alewives are known to abandon a river run if the water temperature is not right. If the water dips below a certain temperature, billions of eggs can be killed. 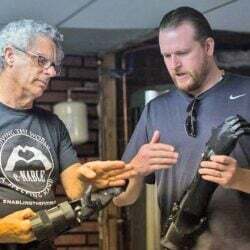 But the fish know when the water is warm enough, Pierce said, so they’ll make their way when it’s time in order to survive and because the food they eat can exist only in what he estimates to be water of 51 degrees. The only negative thing Pierce has heard from people around the state is that there is an increase in invasive species, such as catfish, which feed on alewife eggs and juveniles. “That’s all part of predation,” he said. Alewives were a discussion topic during Benton’s Town Meeting, when residents were asked to weigh in on three questions relating to the fish. 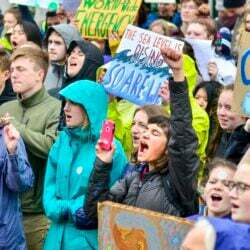 They approved selling a surplus of alewives. 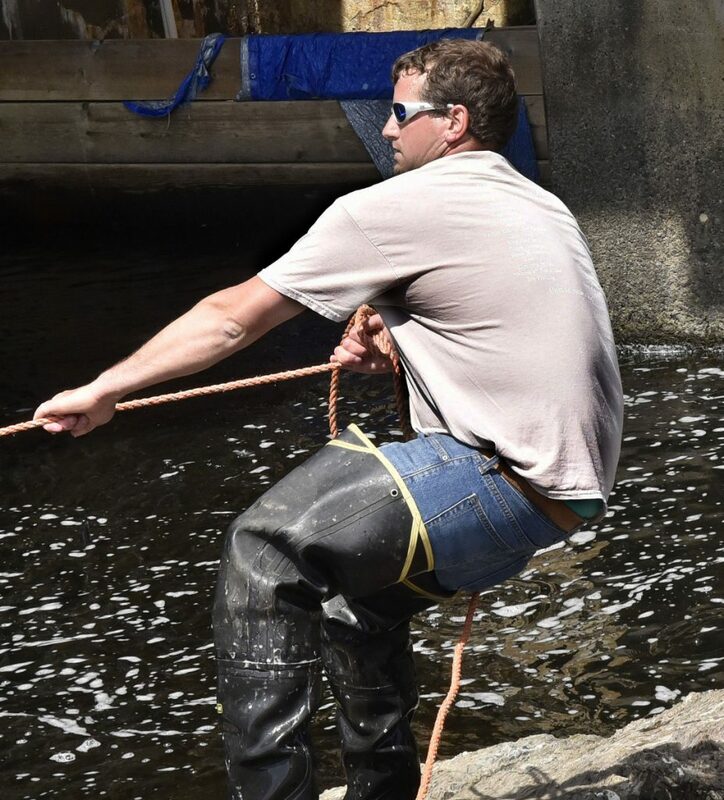 The town typically nets about $20,000 during alewife harvesting. Benton voters also agreed to endorse the annual Alewife Festival and to authorize the town treasurer to accept donations for the festival and to take $1,800 from the tax increment financing district to be used for the event. The annual Benton Alewife Festival would have entered its seventh year. 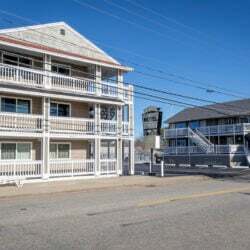 The festival, held at the Fun Park on Neck Road, was scheduled to begin at 11 a.m. and was to be followed by the annual lobster and alewife dinner. 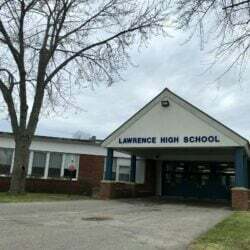 In past years, the dinner was held the night before the festival, but this year it was scheduled for 5:30 p.m. Saturday at the elementary school. Tickets cost $17, $1 more than in past years, and were available at the Town Office. It’s not clear what caused people to pass up the dinner this year.